Swirly Whirly Birmingham Land Owl - Sponsored by Hortons Property Management. 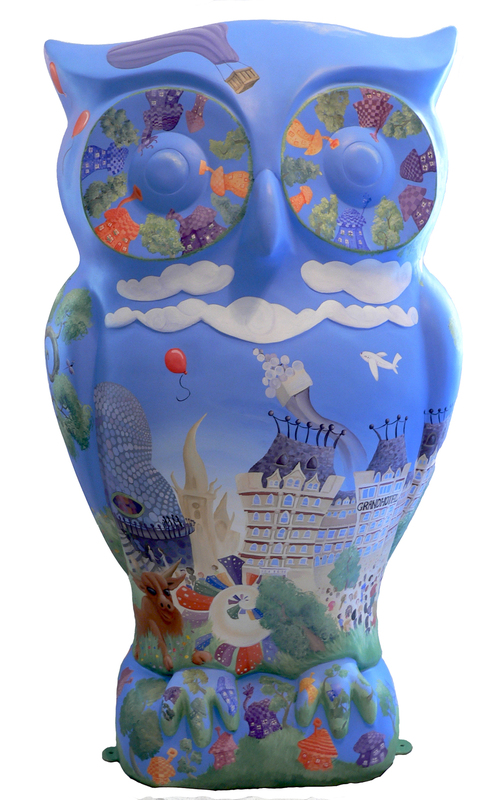 In the summer of 2015 I was commissioned to paint one of the eighty nine 165cm tall owl sculptures that flocked around Birmingham that summer. The Owl purchased by the sponsor at the Big Hoot Auction. Swirly Whirly Birmingham Owl was exhibited in the Burlington Arcade in Birmingham for 10 weeks from the 20th of July. 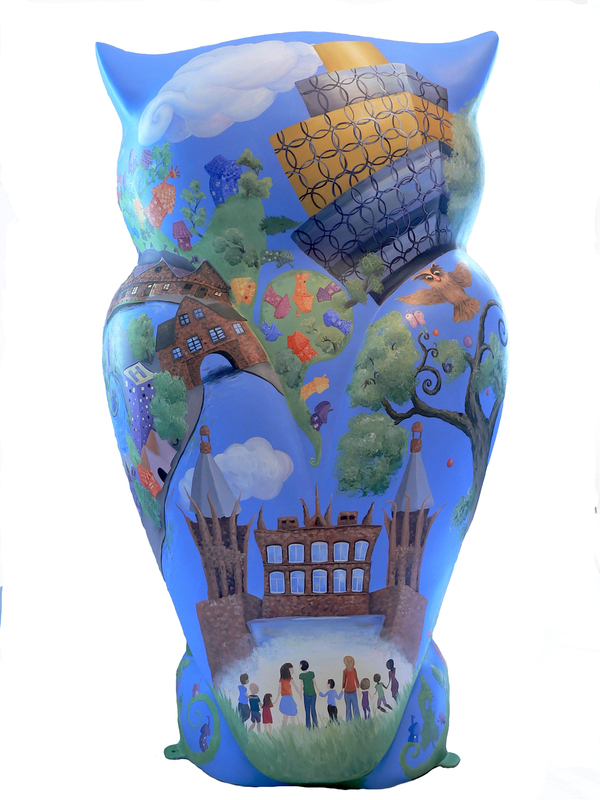 My owl was Inspired by Birminghams architecture, parks and people, this owl includes well known buildings as well as sculptures, canals squares and parks found around the city, it also features a myriad of people – representative of the cities diverse population. Its great fun finding them all in the ‘swirly whirly’ landscape.